Thanksgiving is but a sweet memory. 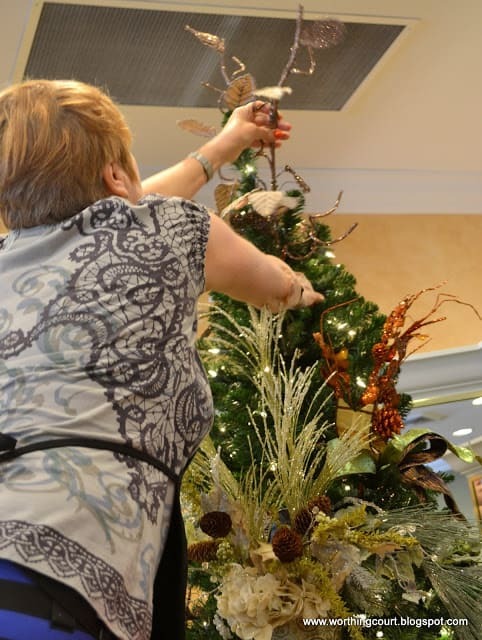 Christmas decorating is in full swing! 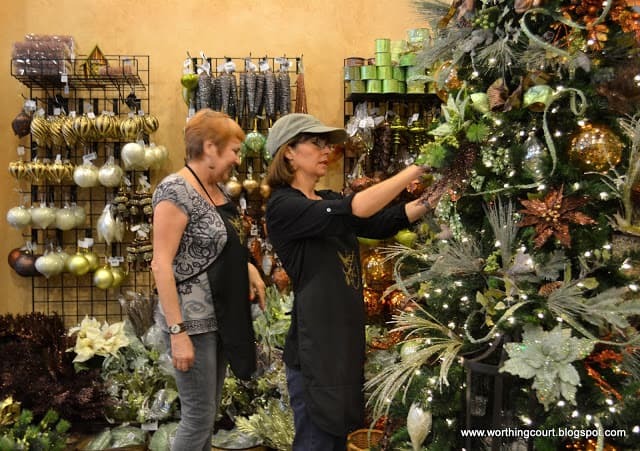 Back in September, I was able to spend time with the designers at Caryl’s Christmas Shop just as they were starting to unpack the many, many boxes of Christmas decor that had arrived at the store. Let me tell you – I wanted to dive into those boxes with both arms! 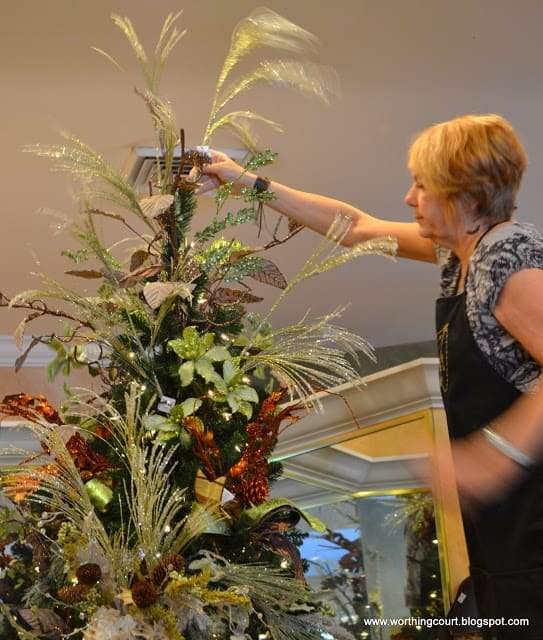 Sue and Kendra are amazingly talented designers and were kind to walk me through their process of decorating a tree, step-by-step. 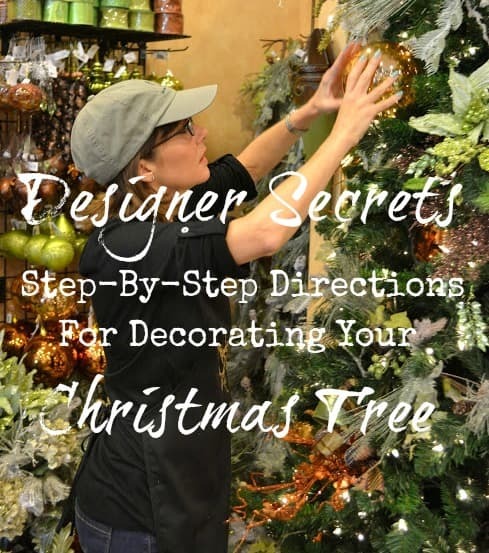 These steps can be followed no matter what style of Christmas decor you want on your tree. 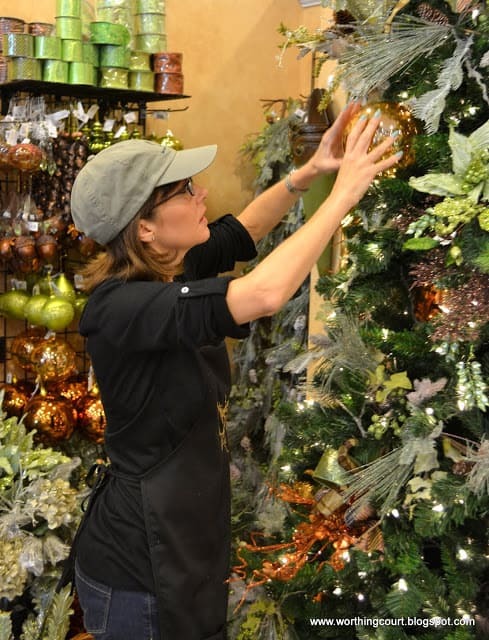 You can apply all of these tips to any style of tree decor! 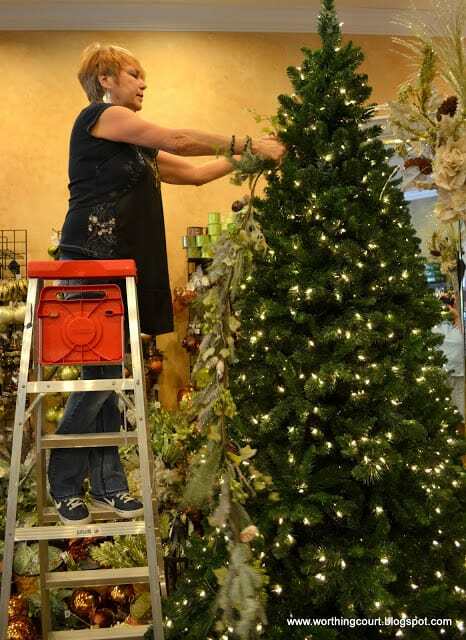 Step 1: Fluff the tree (if artificial) and add lights (if your tree isn’t prelite). 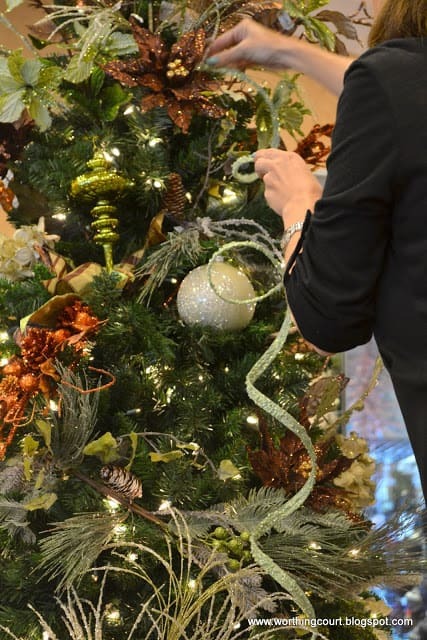 Keep the lights on while decorating the tree. 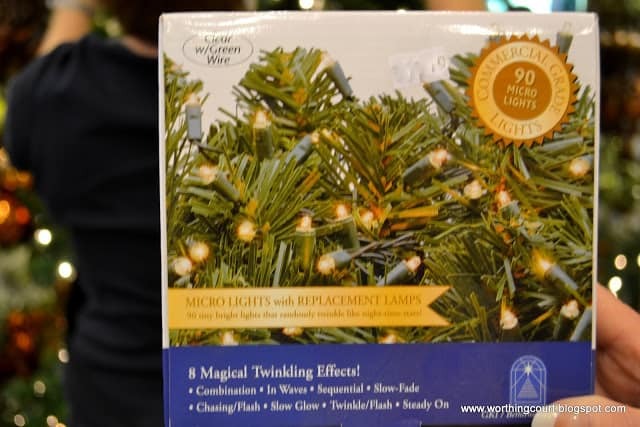 A product such as this makes a great addition to the tree if you like a twinkle effect. 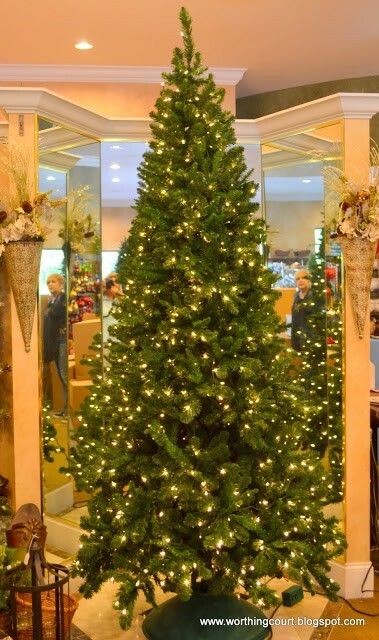 Depending on how twinkly you want the tree, you’ll need 1-2 boxes for a 6′ tree and 2-3 boxes for a 9′ tree. Step 2: Add the garland. -Start about 1/5th the way down from the top of the tree. 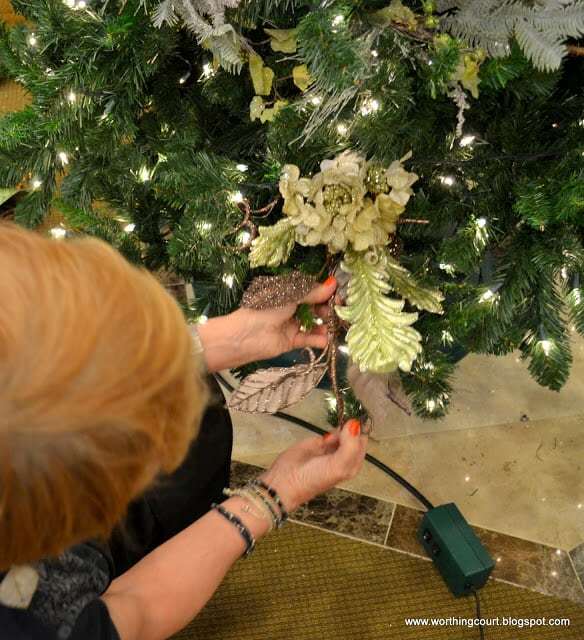 -Use floral wire to attach the garland or twist branches together if the tree is artificial. 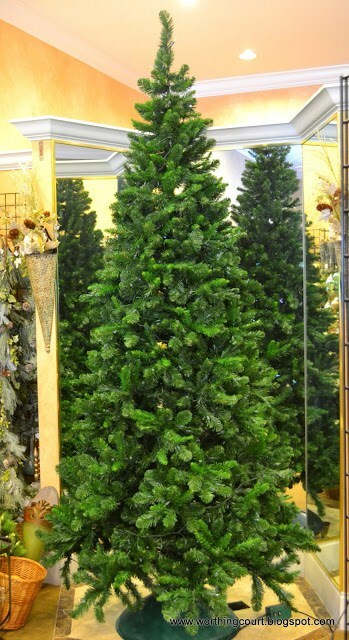 -Run at an angle around the tree: 2-3 times around a 6′ tree and 3-4 times around a 9′ tree. Step 3: Add oversized ornaments and decorations. 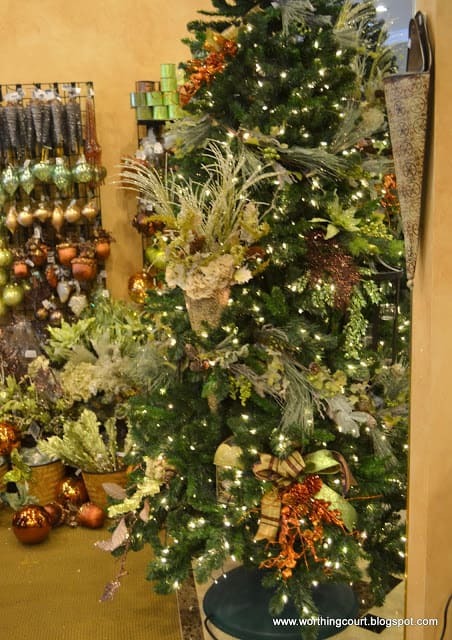 -Use 2-3 oversized items on a 6′ tree and 3-4 items on a 9′ tree. 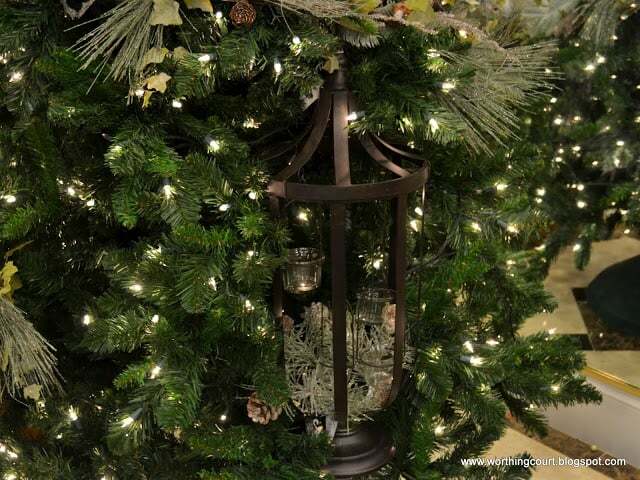 -Lanterns and/or urns work great on a tree. Just remember to make sure they are sturdily wired in place and add filler. And don’t use a live flame on candles! 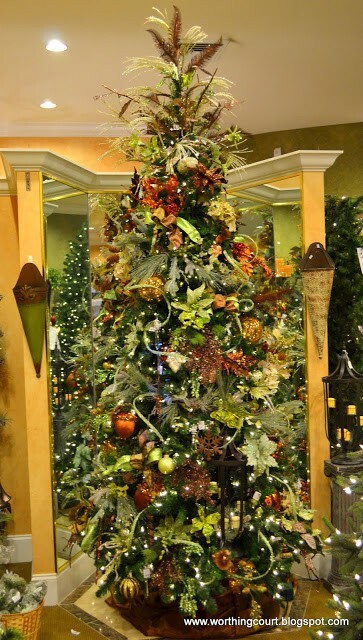 -Place the largest pieces toward the bottom of the tree. -Mix the items up. They don’t all need to match. -Stack three picks together for greater impact. -Place the largest/longest one on the bottom, then the medium size, ending with the smallest on top. -No need to wire them together. -Simply stick them into the tree branches. No need to wire them to the branch unless they are heavy. -It’s also pretty to just use one branch with a bow attached. 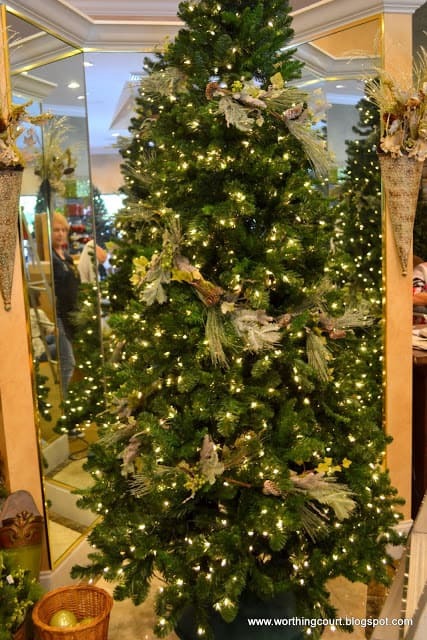 -The picks closest to the top of the tree may need to be turned upside down so that you aren’t looking at the underside of it. Step 5: Create the tree topper. -Come down about 1/5th from the top. 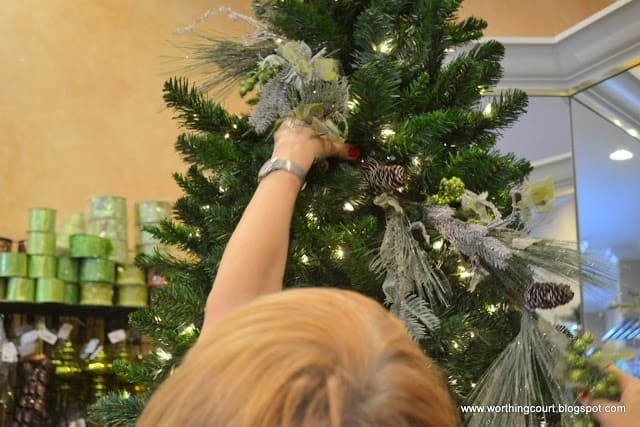 Add three long, spikey picks around the tree at an upward angle. -Choose three more slightly shorter and more full picks. 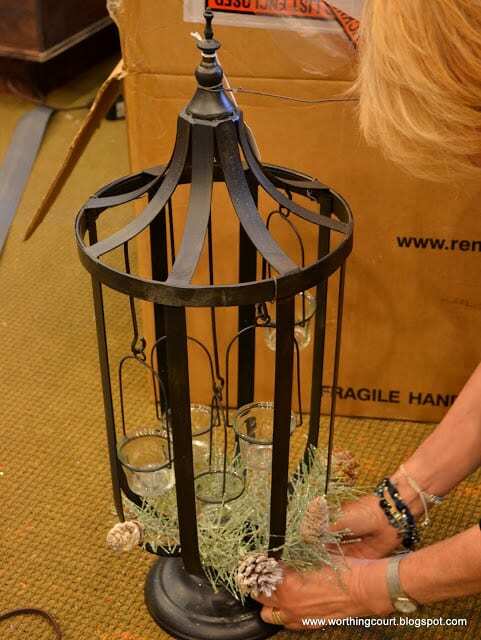 Place these a few inches closer to the top and in between the spaces of the first layer, also at an upward angle. -Add a third layer closer to the top. Using slightly shorter and more full picks. These will be placed into the tree almost vertically. 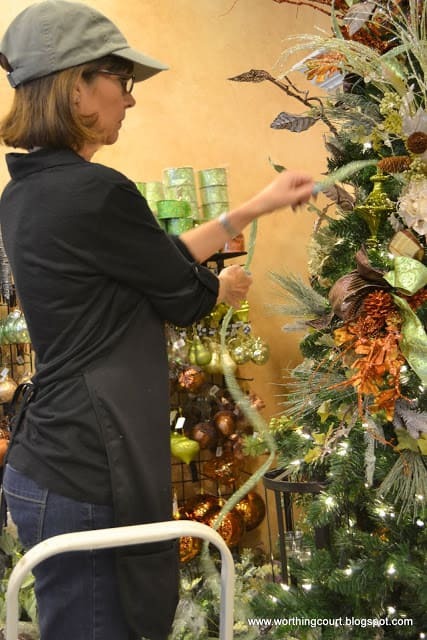 -First, place larger ornaments on the inside of the tree for added dimension. 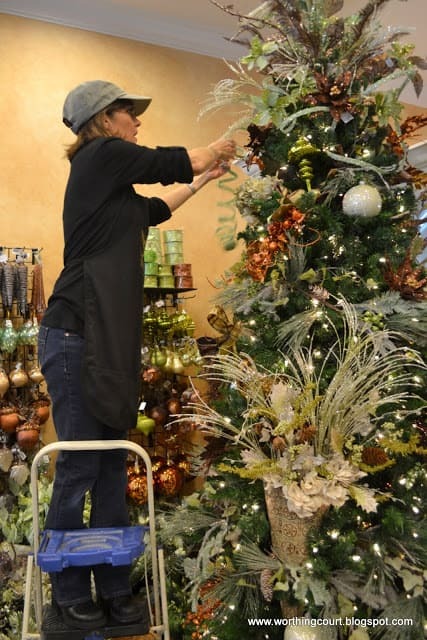 -Next, place a few large ornaments toward the outside of the tree. 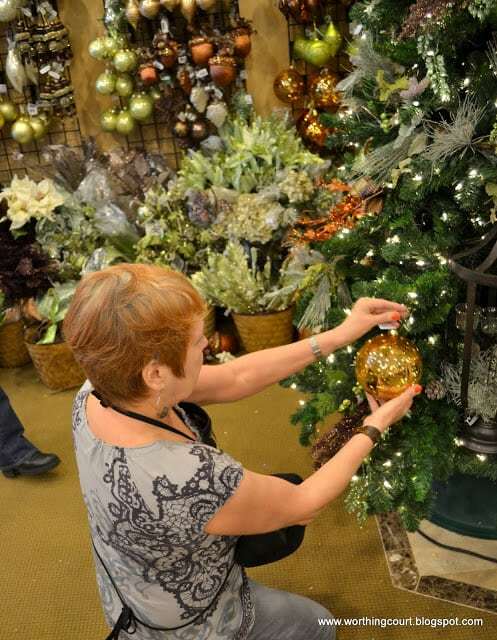 This is where you’ll want to put the ornaments that you want to showcase. 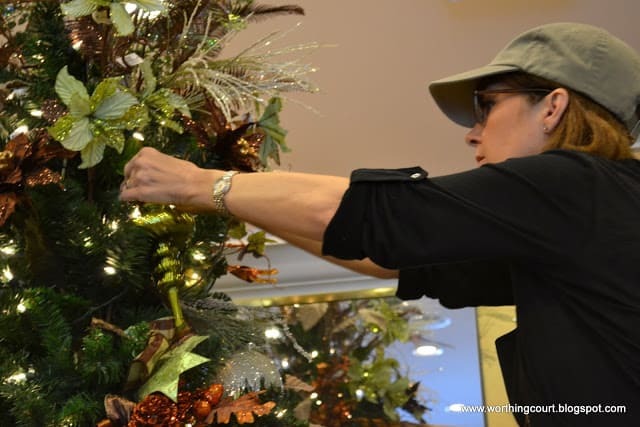 -Use long ornaments to help fill empty spaces. 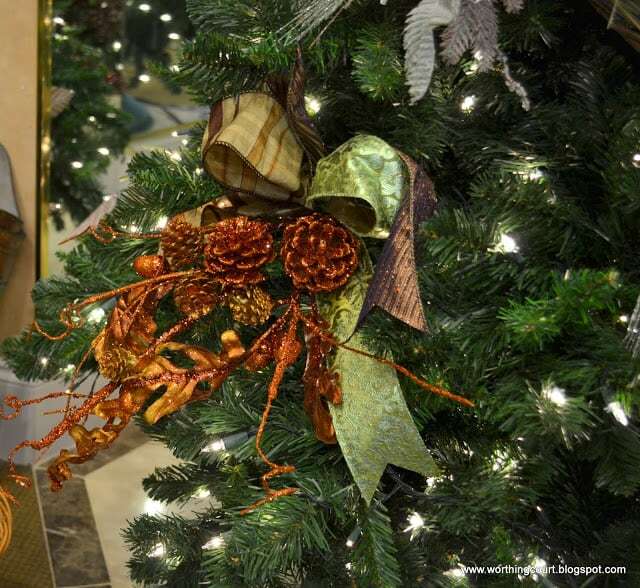 Step 7: Add flexible glitter tape to really give your tree that “designer touch”. -Start attaching it near the top, but below the topper. 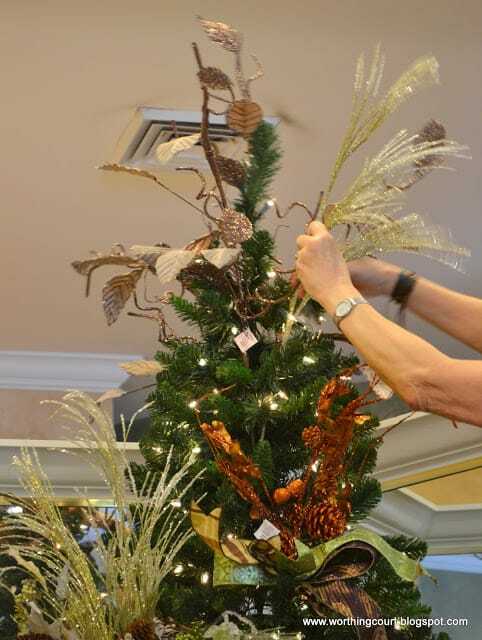 Wind it around the tree similar to how you applied the garland. -Glitter tape kind of has a mind of its own, so allow it to twist and turn as you go. That’s what makes it look so great anyway! Step 8: Tweak, tweak and then tweak some more. -Step back from your tree and it examine it throughout the process. -Make tweaks as you go. Now pat yourself on the back and enjoy the oohs and aahs of your family and friends! 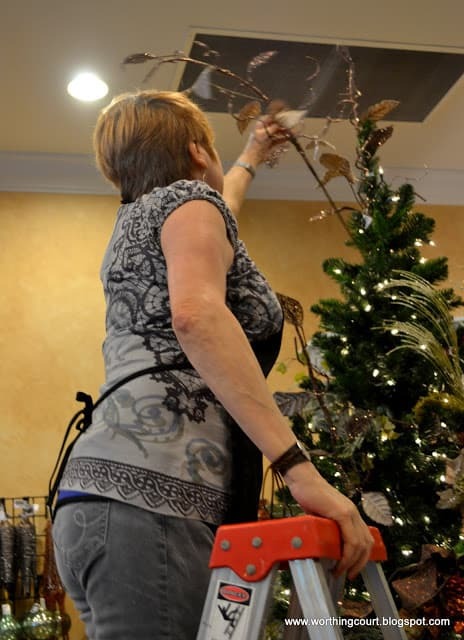 Check out this fun video where I share even more from the designers at Caryl’s. There’s more! 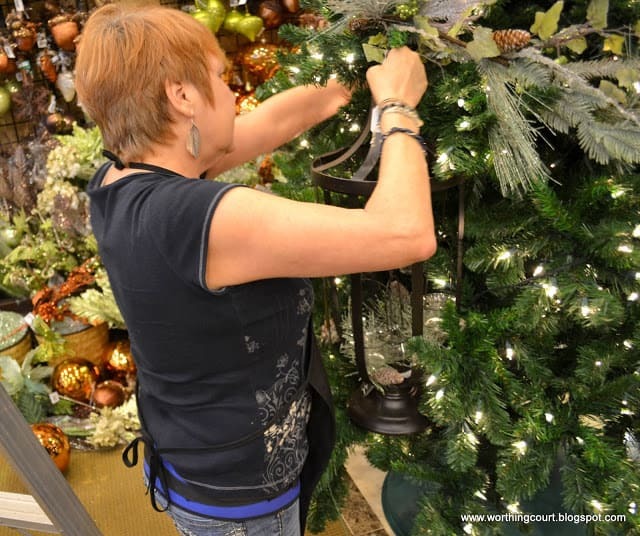 Click HERE for even more tips from the designers on decorating a tree, creating a tree topper, wreaths and garlands. Their store looks wonderful!!! and they are so talented….thanks Suzy! So beautiful, I love it! Great tips! Great tutorial! Thanks for sharing! 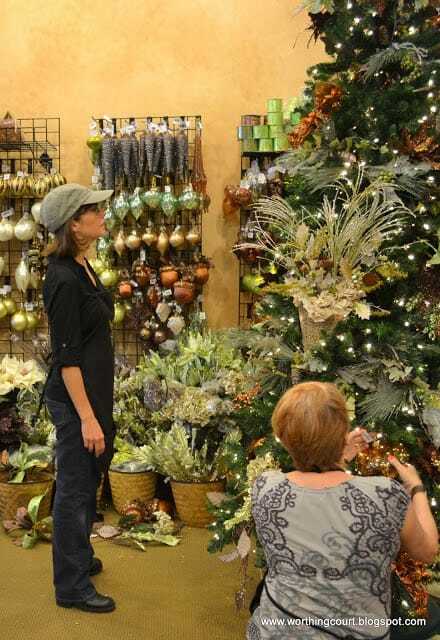 I love visiting Caryl’s Christmas shop! 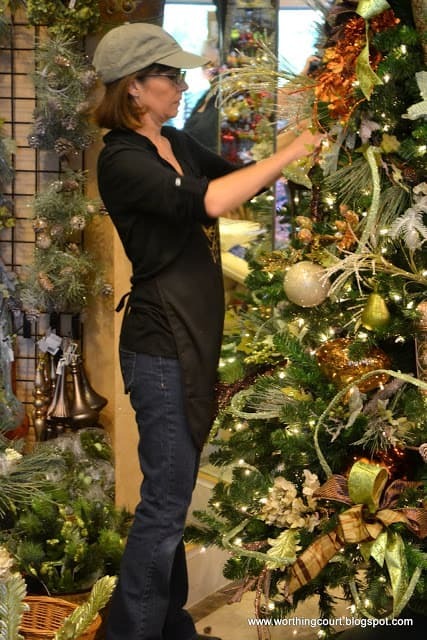 The designers are oh so talented so you can always get great ideas as the shop evolves during the season…..and bonus!!! !….all the product is right there to create your own masterpiece!!! Suzy, this is a great tutorial! The tree is gorgeous…such beautiful colors! I’ll have to use these tips, as I decorate mine. Maybe there will be hope for me…lol! Oh what fun that must have been! Now can you send them to Savannah! Suzy this was a fabulous post. Thanks for all the helpful tips. I will only be decorating the kitchen. We will be gone for three weeks during the season. They would’ve had to kick me out! I know where I want to go next time I’m in your neck of the woods! What a great post! I got my wreath up but gave my door a makeover first because it wasn’t worth otherwise. Just stopping by to say, hi and thanks again! Suzy, That tree is a work of art!!! Great to know the “formula”. I’m really obsessed with those oversized ornaments and elements in a tree. That is a sure sign of a designer tree! Thanks for this great Tutorial!!! How beautiful, Suzy! Thank you so much for showing us the behind the scenes tour! Happy day to you my wonderful friend! Gorgeous and thank for the how to!! Very helpful! I love working with the glitter tape, or banding. It just finishes a tree off so well. my first purchase was about tthree years ago from Renaissance in two sizes one with sequin and glitter mix. Recently, I’ve only seen it in silver. I originally was able to get it in red, gold, and a pretty green. This is a fantastic tutorial! The Lantern in the tree was amazing! Thank you for sharing this inspiration! Such an awesome post, Suzy! Thank you! I want to go to that store as I’m spying LOTS of goodies! PS: huge fan of the glitter tape, too! Thank you for the awesome tutorial. 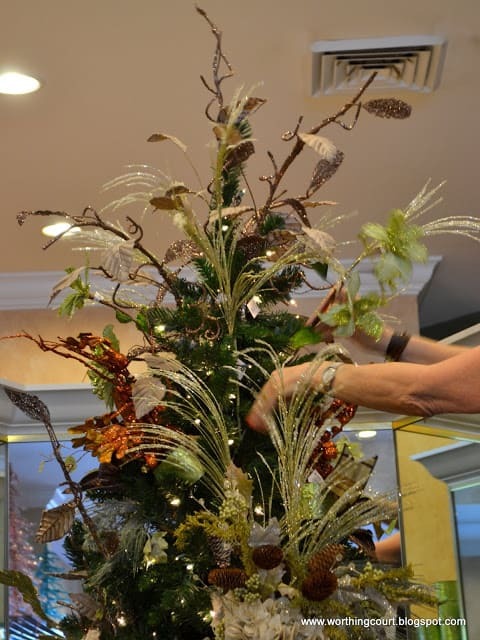 I hope you can also show us a great tutorial on decorating with elegant hand blown glass figurines or ornaments. Where can you buy the glitter tape? Wow, what a great tutorial. I came over from Cedar Hill Farm House. One question though. What is glitter tape? Can you give me a link where you buy it? Where can I find glitter tape? Hi Shannon. The only place that I’ve ever seen the glitter tape like the designers used on this tree was in a local Christmas shop. I haven’t been able to find it online. Sorry I could be more help! Do you have a tutorial or instructions on how to tie the ribbons around the picks? I like how you use different ribbon together, but they don’t look like typical “bows”, how many inches of ribbon loops do recommend using? So pretty, thanks for sharing! Hi Cassie. Some of the bows that the designers tied around the picks are just a basic bow. They simply wrapped a length of ribbon around the end of the picks and tied it like you would any other bow. The different ribbons were tied on one at a time and then they kind of smushed them together. 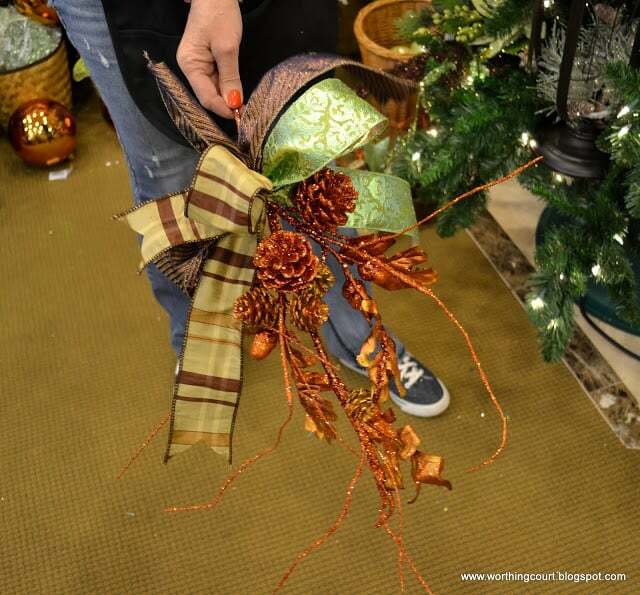 Cutting a “V” into each ribbon end and using wired ribbon will allow you to make the it pretty. In other cases they did make a decorative bow before they wired it to a group of picks. I don’t have a tutorial for that, but you can Google “how to make a bow” and find lots of instructions. I’m sorry that I don’t know how much ribbon was used on each bow. 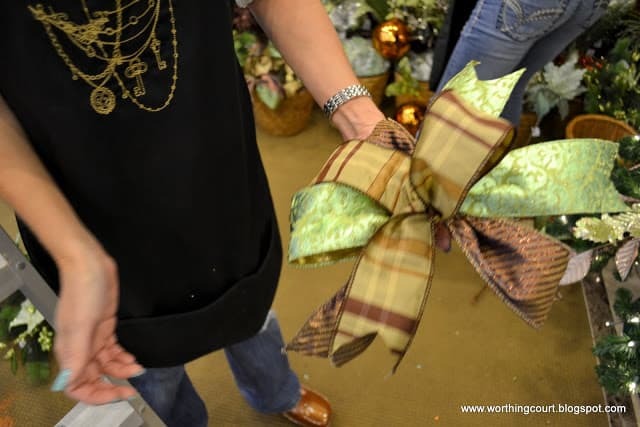 Before you cut into your ribbon, you could try tying different lengths of string until you get the size bow that you want and then hold it against your ribbon to see how much ribbon to cut. Hope this all makes sense! I make two color bows all the time. Just lay one ribbon on top of the other as one, make the bow and pull the loops out. On one side I go left right and then I flip my bow around and go right left and fluff out even. Really easy. I also use pipe cleaners, not floral wire. Love, Love your work. I love decorating my tree for Christmas. I think I do a pretty good job but I see so many ways to up my game. I think I need more rooms in my house where I can use all of your ideas! Thanks for sharing your talents. Thank you for the post! Very inspiring and helpful! 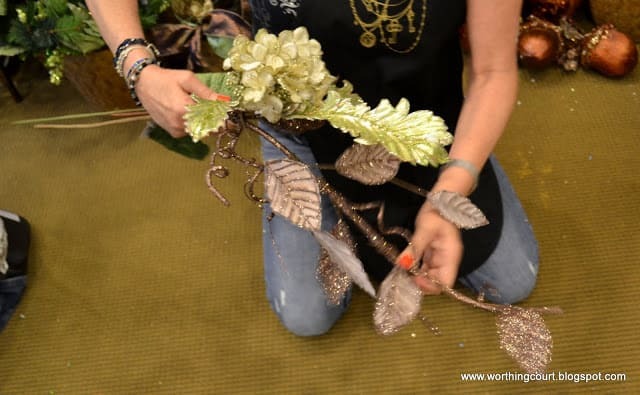 Having done floral design for 30 years myself I can say this is a great tutorial and following her directions will always give great results. thanks for the refresher course. 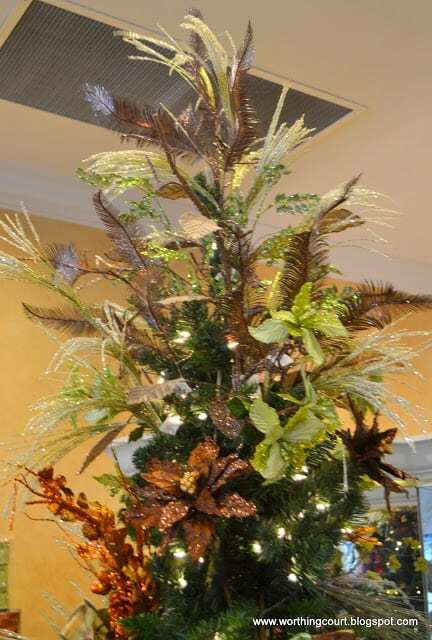 Actually, I am searching some ideas for giving my Christmas tree an eye catching look in this Christmas eve, and here I found your post which is a great tutorial for me. 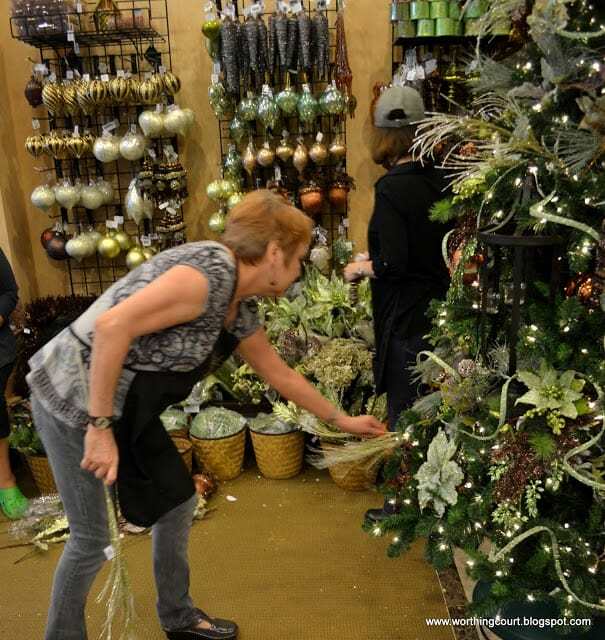 I am going to implement your ideas for decorating my Christmas tree in this year. Thank you soooooooooo much for sharing this post with us. Where can I purchase the flexible glitter tape? Hi Judy. I’ve seen it a Hobby Lobby and also online at TrendyTree.com (search for glitter garland). Where. Nani findcthat teinkle light garland? Who makes it?